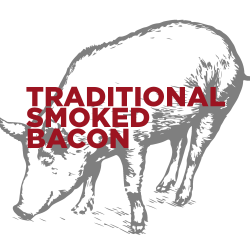 Explore the various flavors of smoke as we release single-wood smoked bacon throughout 2018. 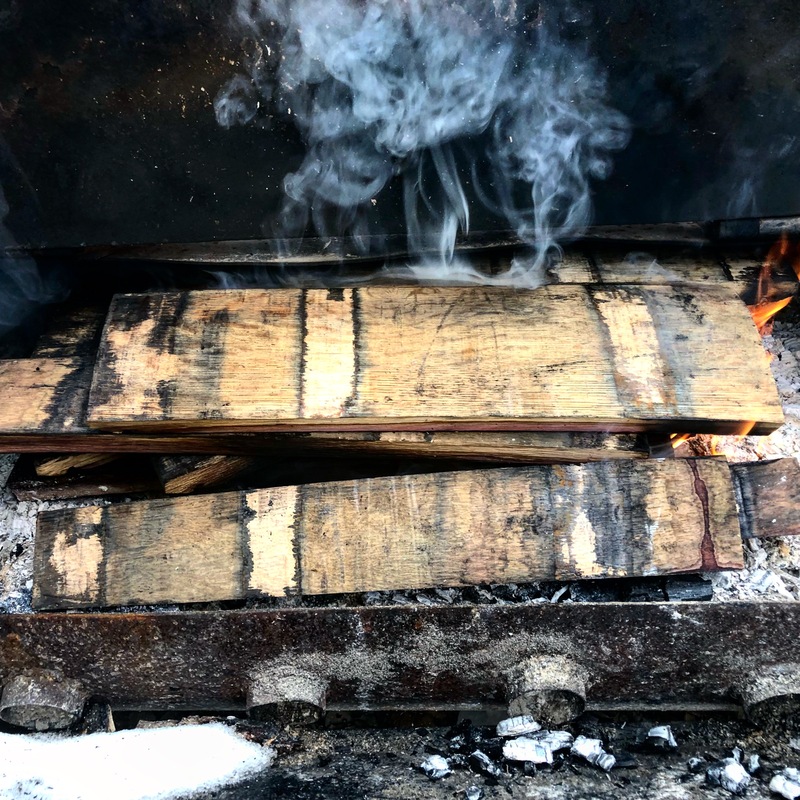 These specialty-smoked bacons will feature unique woods that impart different flavors to the pasture-raised pork that we use to make our sliced bacon! Bourbon Oak Smoked bacon has a fuller heartier smokey flavor. These particular barrels were home to Woodford Reserve before being used to age New Day Meaderey’s Breakfast Magpie. 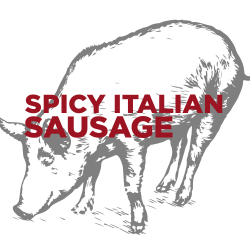 The wood smelled sweet and fragrant as it burned and while there is no sweetness to this bacon, it has some of those characteristics. 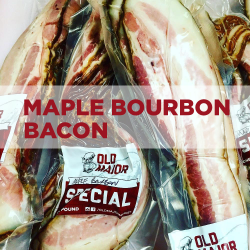 Old Major Bourbon Oak-smoked bacon is in ~1 pound packages and is thick sliced!